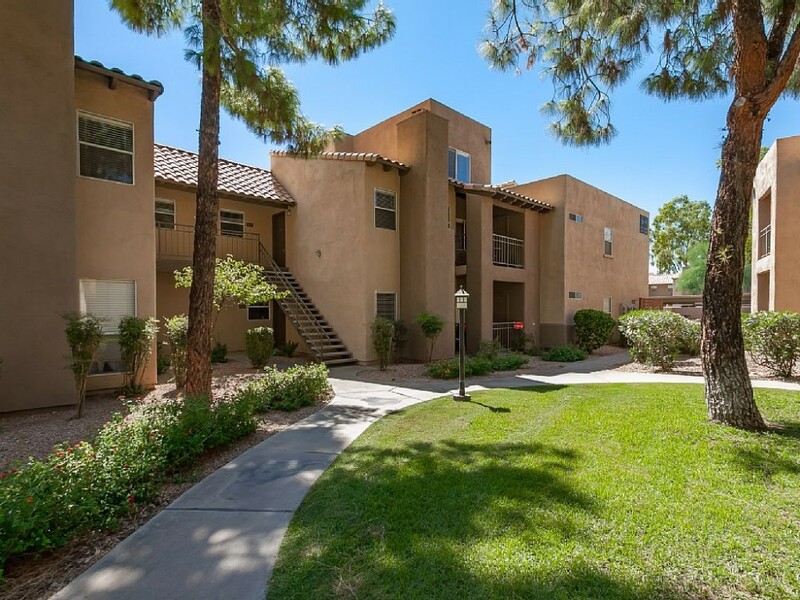 Tastefully decorated 2 bedroom condo located in North Scottsdale conveniently off the 101 freeway. Open floorplan with vaulted ceilings and comfortable furnishings. Kitchen features espresso cabinets, granite countertops, and stainless steel appliances. Enjoy the many amenities of the community and surrounding Scottsdale area. Resort style pools and hot tub and well as a community club house. Everything you need is here, just bring your suitcase. Perfect for Winter getaway, business travelers, or Spring Training Baseball fans.